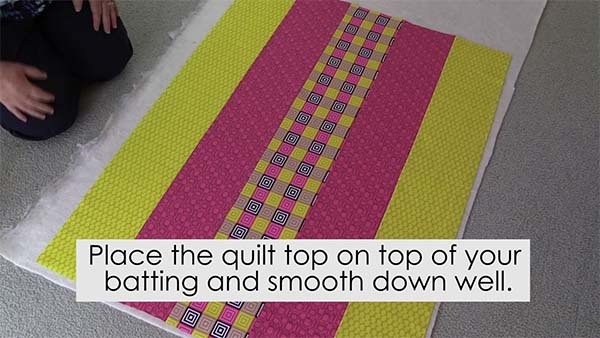 Quilting for beginners has never been this easy. 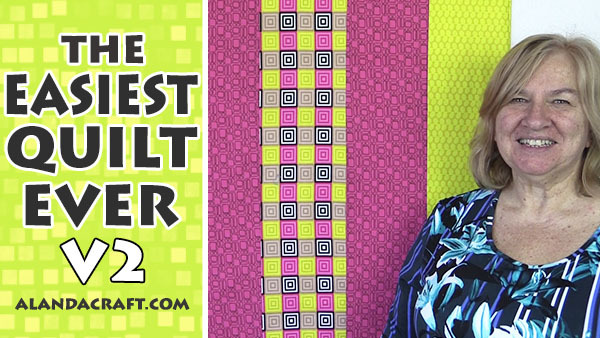 One of our most popular videos on YouTube is the Easiest Quilt Ever tutorial. It has over half a million views at this point with over 24,000 likes. It’s a super easy quilt so perfect for a beginner. There’s no binding and it’s so simple that you could easily make this in a day. No wonder it’s popular. With this in mind, we decided to put together version 2 of the quilt. This one is just as easy but has a variation in the design and how it is pieced together. 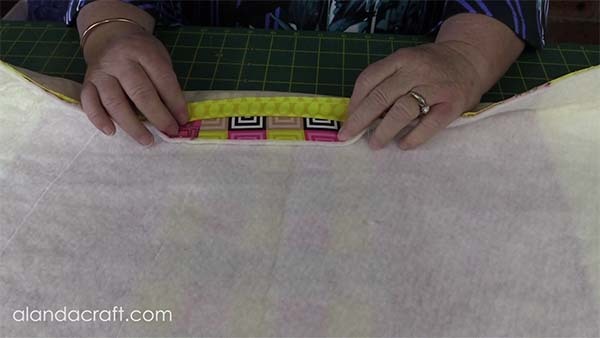 Quilting for beginners has never been this easy. Let’s get started. You can scroll down to the bottom to watch the step-by-step video tutorial. The finished quilt size is 30″ x 40″. 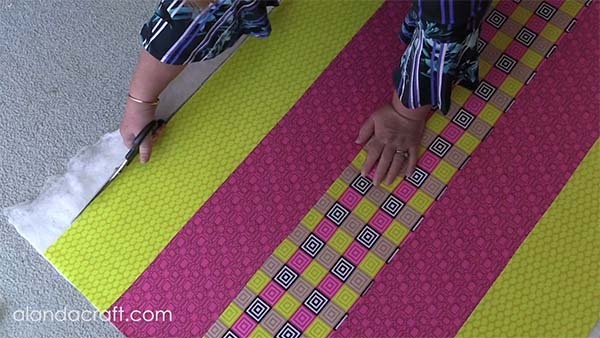 Cut your strips 6½” x wof (width of fabric) and trim to 40″ in length. Lay out the strips how you want them to look. Take the first strip and lay it, right sides together, on top of the second strip. Press the seam towards the darker fabric of the two. Now lay the centre strip over the first two strips, right sides together. And repeat the process so that all the strips are now sewn together. Check that you have pressed all the seams towards the darker fabric. Lay your batting on a table or a clean floor. Lay the quilt top on top of the batting, making sure the quilt top has the right side facing up. Smooth the quilt top and the batting out. Fold the quilt top back to about the half way point. Smooth down the quilt top making sure to remove all creases. Repeat the process with the other half of the quilt top. We use 505 spray. We have tried other adhesive sprays but we have found that this one works the best for us. 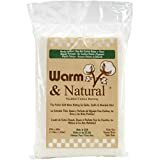 We also use it when we are working with machine embroidery. Cut the batting around the quilt top. 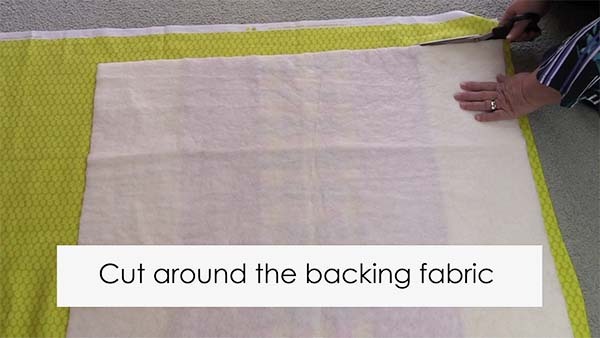 Lay the backing piece of fabric on the table or floor with the right side facing up. Lay the quilt top and batting sandwich on top of the backing fabric, right side facing down. Cut the backing fabric around the quilt top. 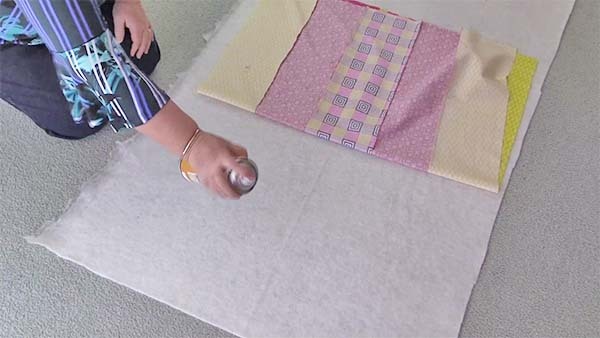 Alternatively, you can, measure your quilt top piece and cut your backing and batting the same size, but we find the method we are using here works just fine for baby quilts. 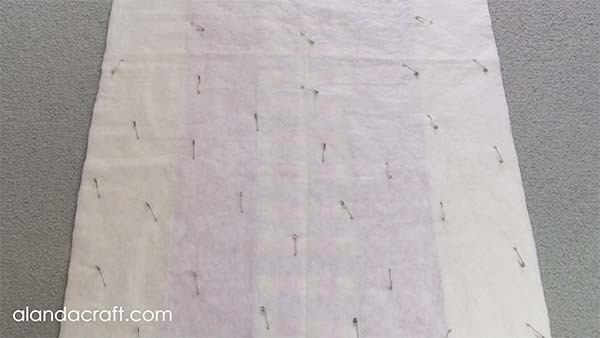 Smooth the three layers and pin them together using quilting pins. 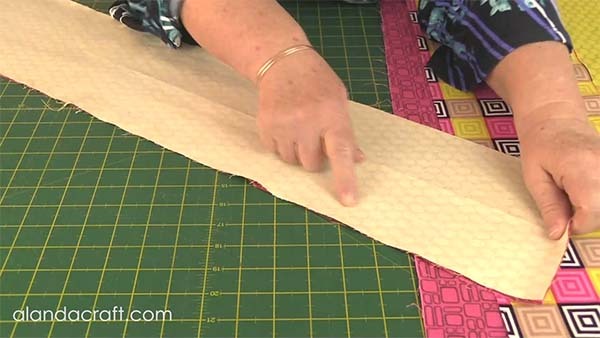 Sew the layers together with a ¼” seam. If you have a walking foot for your machine, now is the time to use it. 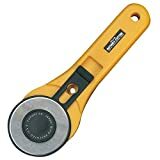 Leave an opening of about 6″-8″ at one end. This is where you will turn the quilt through to the right side. One way to help you remember to leave and opening is to make a chalk roller or Fixion pen mark on either side of the where you want the opening to start and finish. NOTE: Don’t use a ballpoint pen. Turn the quilt through and just make a quick check around the seam line that all your layers have been caught in the seam line. Now pull the each of the corners out from inside of the quilt and cut across them, taking care not to cut the stitching. Also trim a little from either side of the corner to remove some of the bulk. Cutting the corners allows for pointier corners. Use a wooden skewer or similar item to push out the corners. If you use your scissors, be very careful as you don’t want to poke them through the corner and break the stitching. Give your quilt a press taking care to press in the seam allowance on the opening. If you find the batting is a little thick at the opening, trim it back about an eighth of an inch to reduce the bulk. Topstitch around the quilt approx an eighth of an inch from the edge. This will give the quilt a nicely finished edge and close the opening that we had to turn the quilt through. Now it’s time to quilt. Because of how we have constructed the quilt, keep it simple, too much quilting will draw the quilt in and may result in puckering. I started with the middle stripe and drew a line 2″ inches from the seam line. Continue drawing the line right down the length of the quilt. Then I continued to draw lines 2″ apart, across the whole quilt. 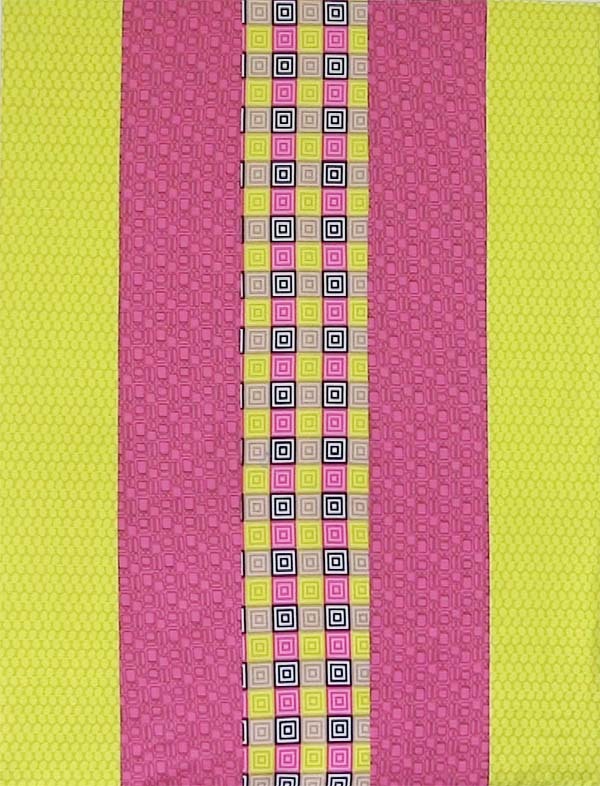 Now sew down the full length of of the lines that you have drawn making sure to do a tie off or back stitch at the beginning and end of each row. Also alternate how you sew the rows. Don’t sew them all in the same direction. When you get to the end of a row, turn the quilt and sew back the other way for the next row of quilting. This will help to stop the quilt from warping. You can see in another quilt we made how the quilting looks when stitched. It’s just a walking foot from a Janome 7700 Horizon sewing machine.